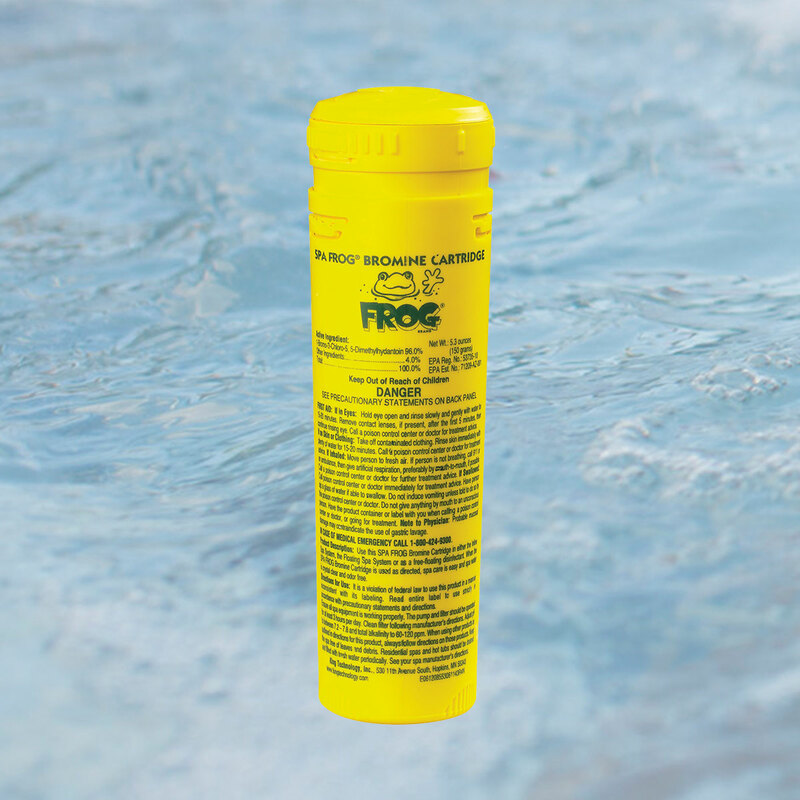 Spa Frog Bromine Cartridge refill is for use in either the Spa Frog Floating System, or for users of the Spa Frog Inline System which is factory-installed in some hot tubs. Use with companion Frog Mineral Cartridge. Product notes: Bromine cartridge lasts 2-4 weeks depending on use.